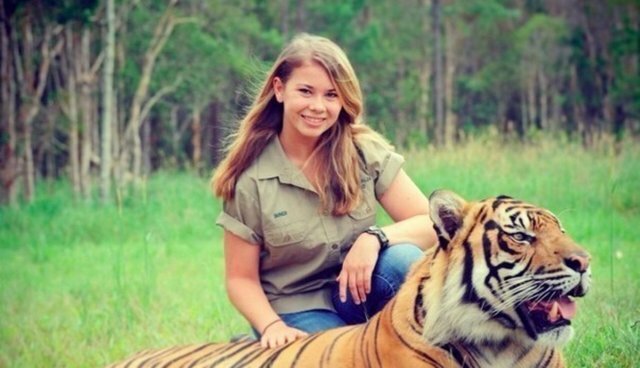 Bindi Irwin, daughter of the late Australian wildlife expert Steve Irwin, went on ABC's Good Morning America on Thursday to announce a new collaboration with SeaWorld. Bringing two Magellanic penguins with her, 15-year-old Bindi, her mother Terry and her brother Robert spoke to GMA's Robin Roberts about her new gig. "We are so thrilled to finally be joining SeaWorld on a brand new initiative called Generation Nature, which is all about encouraging kids to get involved and be game changers for wildlife and wild places," Irwin said.